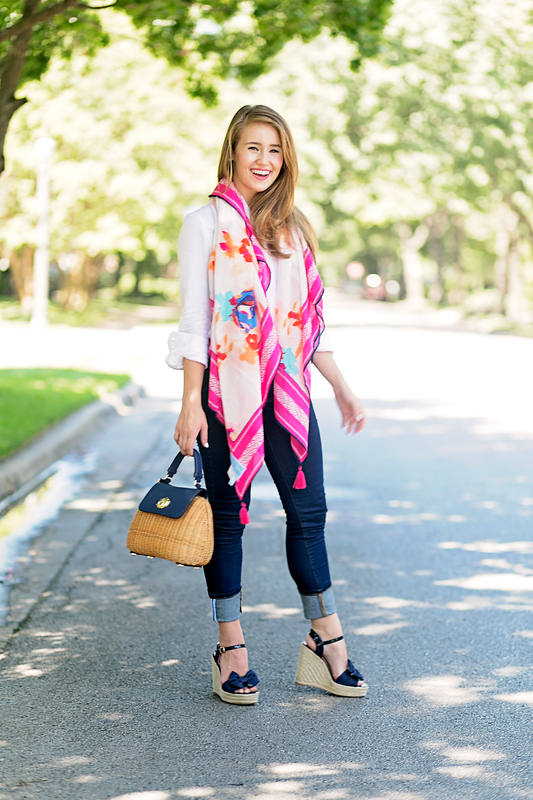 Oh the wonders of a summer scarf. As I learned in Paris, there’s nothing quite so chic as the statement one makes… yes, even in the heat! Today, I am thrilled to be debuting this beauty by Draper James, Reese Witherspoon’s clothing line. Speaking as a girl who adores color and classic pieces inspired by the south (oh, and Reese of course) it was a head-over-heels, love-at-first-sight kinda thing. Know what I mean? 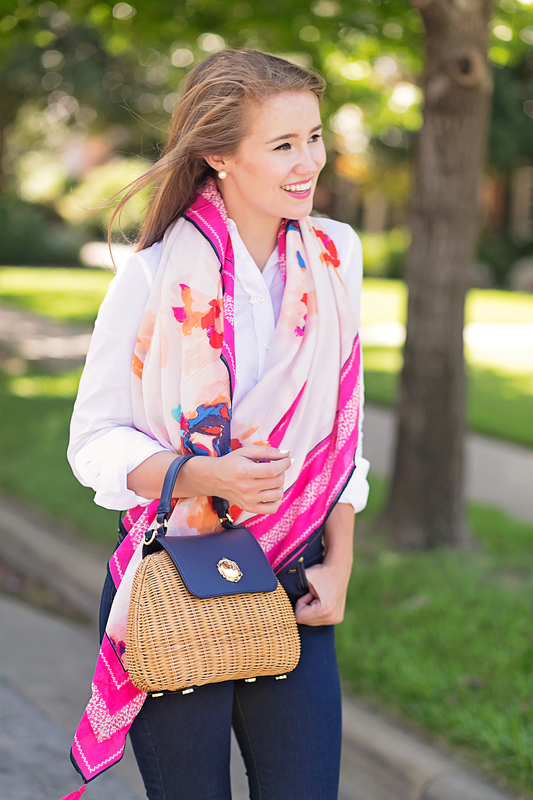 The beauty of this scarf is that it’s lightweight enough to wear during the high temperatures of summer. Draped loosely around your neck, it adds a bold impact to a sophisticated ensemble without inducing even the smallest of heat strokes. And the good news is that there is more than just one way to style it! 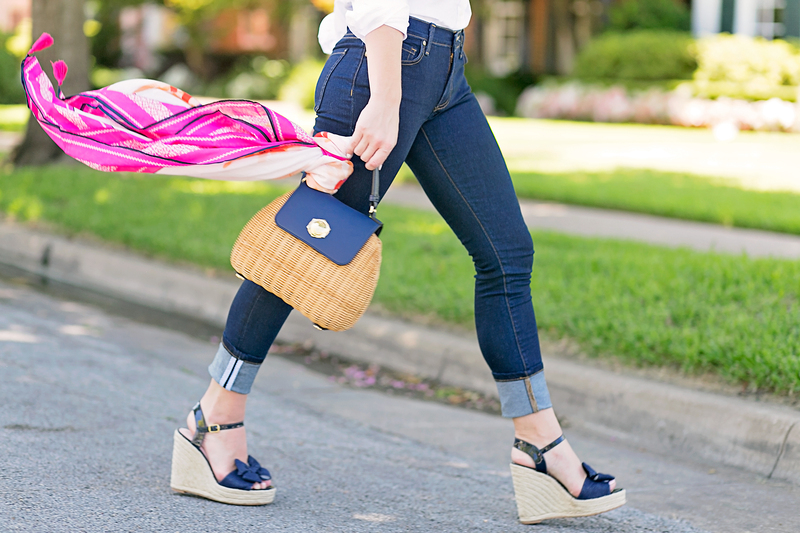 Try tying it around your favorite purse or tote for an elegant pop of color. Multiple outfits from one piece? Yes please! 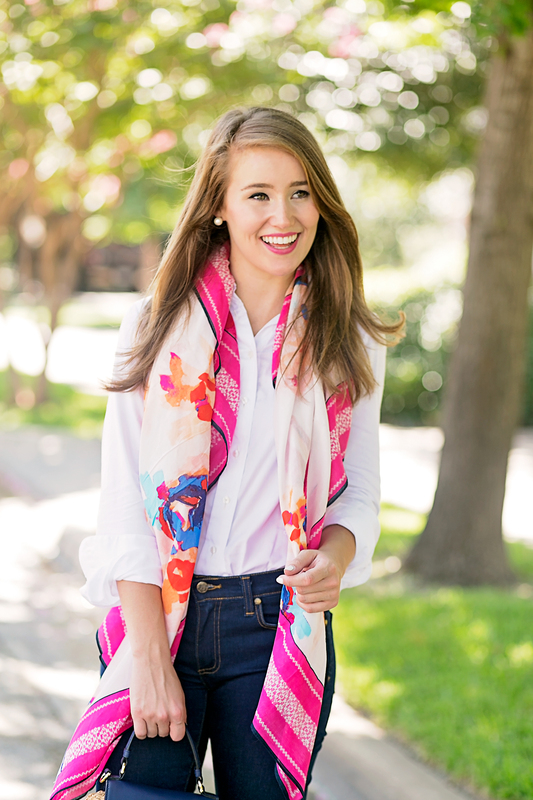 And can we talk about the gorgeous, vibrant floral print? As if that weren’t enough, the pink tassel detail on each of the corners takes it to a new level altogether. But wait, there’s more… it’s currently on sale for $39! Since this scarf is incredibly generous in size, I’ll be packing it up on my family beach trip next week and tying it up as a sarong swim suit cover. I am so thrilled to be working with Draper James, as it’s a line I’ve admired from the very start. 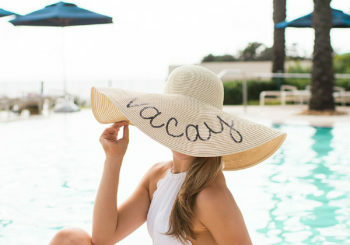 I know you’ll love it, packed to the brim with southern charm as it is, just as much as I do! Be sure to check their blog later today for a fun little interview I did with the team, and head back next week for another darling Draper James look! 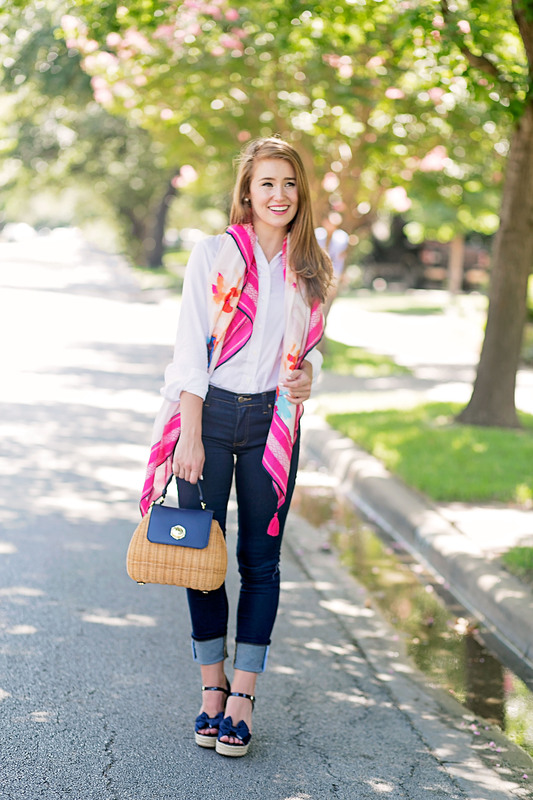 I love this scarf and how you have styled it! Thanks for sharing! 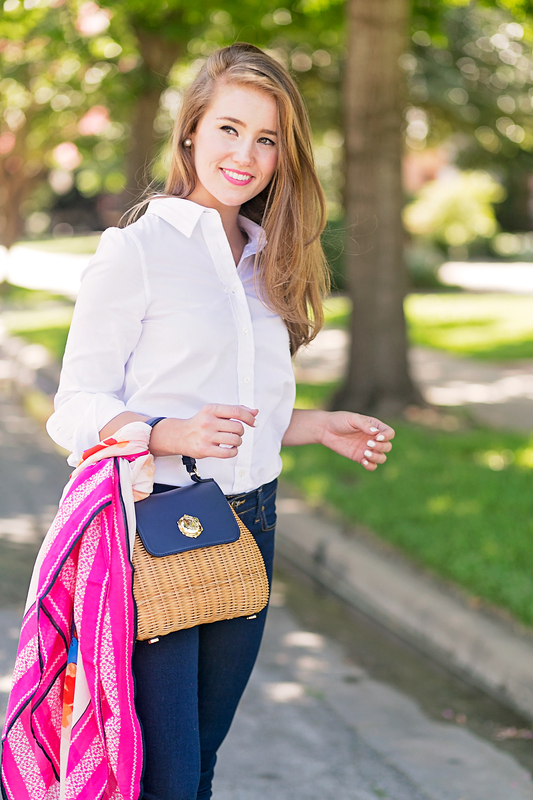 So cute, such a classic put-together look! 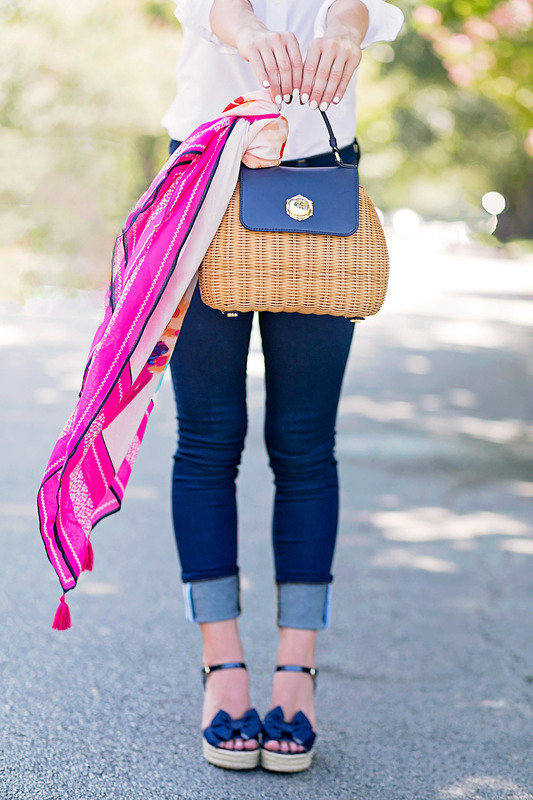 Love the tassel details on the scarf! I love this look so much on you! Very mature and chic while still fun and playful! What a gorgeous look! For some reason I never envisioned Reese’s line as clothing for young adults/professionals, but now I can totally see it. 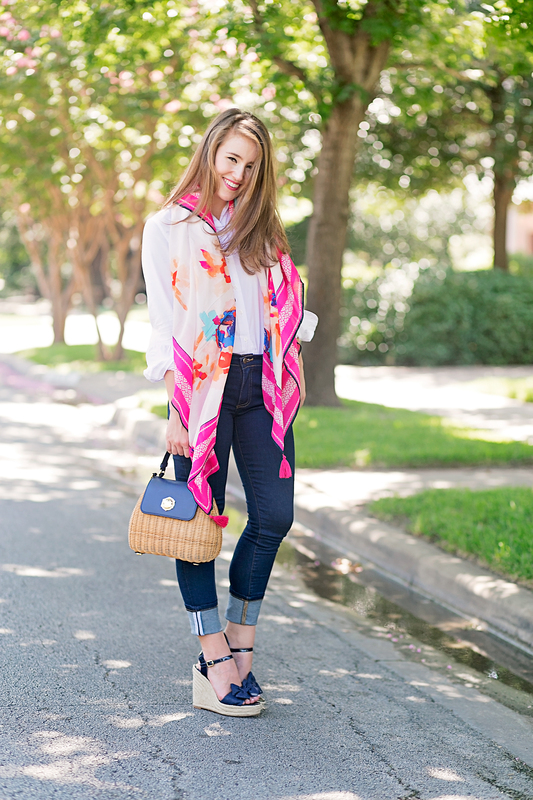 That scarf is gorgeous! 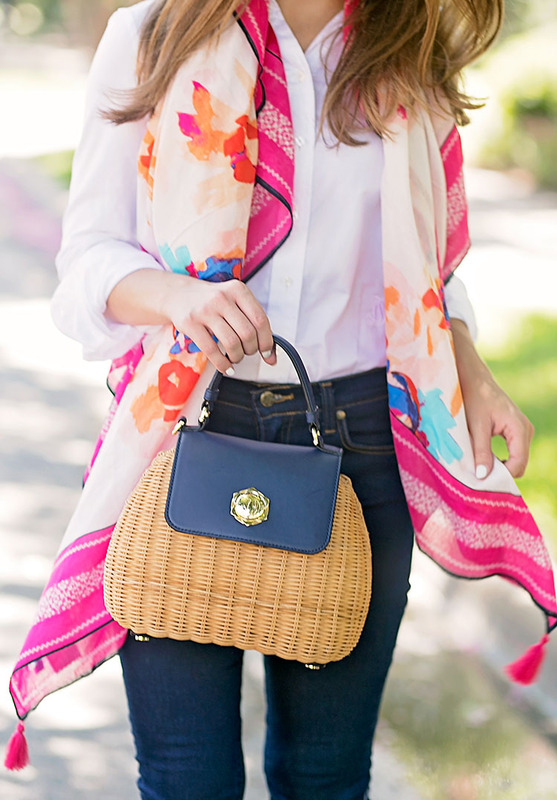 This scarf is SO cute, I totally need it! 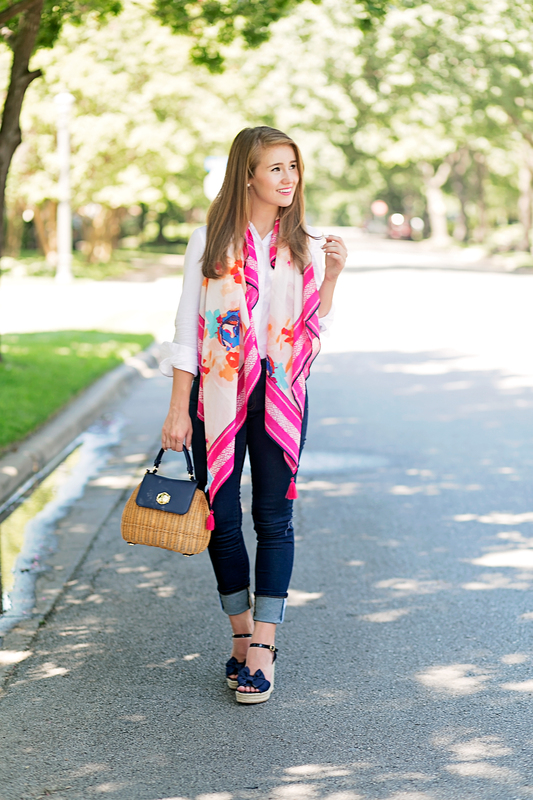 Obsessed with this scarf! So, so cute. So pretty! I can’t wait to wear scarves again. loving this look so much Kate!! Oh my goodness, what an opportunity to work with Draper James! I visited their store in Nashville at the beginning of the summer and it was everything I thought it was going to be!